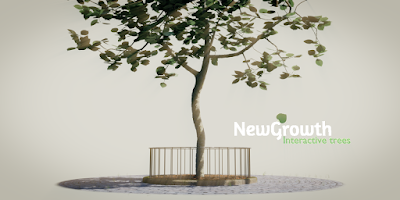 Good looking procedural wood is not that simple to implement but fortunately for us their is a whole host of renderman shading experience available online. 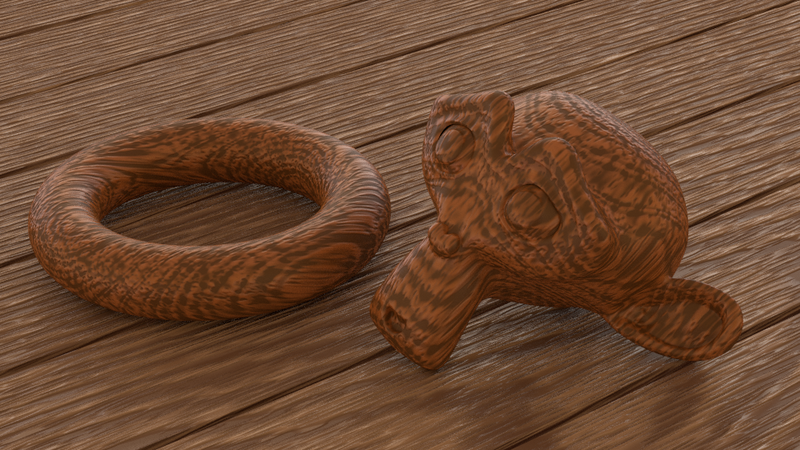 Based on a shader by Larry Gritz we implement a fairly realistic wood shader in OSL. Both the dark wood of Suzanne and the torus and the lighter wood of the planks they are resting on was done with the shader we present in this blog article. The algorithms used to produce the ring and the grain are essentialy the same as those implemented in Larry Gritz' oak shader. However, Open Shading Language (OSL) is not quite the same as Renderman so there was in the end quite some adaptation needed. Beside syntactic differences between RSL and OSL, the main differences are that OSL provides us natively with snoise() functions but on the other hand, a function like area() doesn't seem to work well and neither are the derivative functions. However, because of the inherent antialiasing in Cycles we don't have to bother much about filter width (as we would have in other types of render engines) so we can do without I think. Functionally the biggest adaptation was that the original implementation provided a complete lighting model (a closure) for the wood shader while we adopt a more modular approach provinding color and displacement output that can be combined with existing closures for maximum flexibility. See the node setup at the end of the article for an example. float Sharpness = 0.01, // sharpness of the grain. hand tweaked because we lack derivatives.